If you have had a chance to pay attention to any of the many musical outlets there are in the world today, you would be well aware of a young talent that just burst out into the scene. Her name is Willow Smith, she is currently nine years old and she has a single out “Whip My Hair” that has all the grown ups going crazy. If her name sounds familiar that is probably because she is a daughter of a well known musician – actor Will Smith. 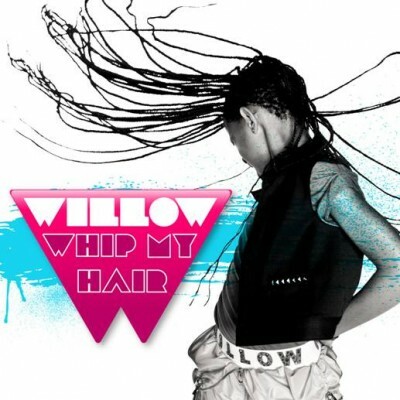 Her single “Whip My Hair” has been leaked on September 7th, 2010 and the response has been overwhelming. She is currently signed with Jay-Z’s record label Roc Nation, no word on the full album yet but I am sure this girl has her whole childhood already planned out. Even though I do admire such young artists and their talent, I can’t help but feel sorry for them. Even if Willow goes on selling millions of records and securing her future as a millionaire, there is a really good chance she will never know what a normal teenage life is. Who’s to blame? Parents I think. I don’t understand why already millionare parents want to steal their child’s normal teenage years and throw their daughter into the cut throat music business at the age of nine. That just seems greedy and careless to me. What do you think? it almost seems like Rihanna popped a zit and lil’ willow smith was born. never before has acne been so cool. oh sorry, my bad, i forgot you don’t get acne when your nine. This blog is pretty good. How was it made ? Just looking at your site on my new Nokia Phone , and I wanted to see if it would allow me reply or if it was going to me go to a desktop to do that. Ill check back later to see if it worked. You’re not the average blog author, man. You certainly have something powerful to add to the web. Such a great blog. I’ll return for more. Man! It is like you understand my mind! You seem to know so much about this, like you wrote the book in it or something. I think that you could do with some pictures to drive the message home a bit, but other than that, this is helpful blog. A great read. I will definitely return again. If you are looking for Dominos Pizza go to this site!! In the event you’re seeking the best domestic cleaning services london this particular web site is definitely the particular proper place!!! Well! I ought to have a good commitment from them. You completed some nice points there. I did a search on the topic and found the majority of persons will have the same opinion with your blog. Ok this site totally boggled me thanks for the info! It is rare for me to find something on the net that is as entertaining and fascinating as what you’ve got here. Your page is lovely, your graphics are great, and what’s more, you use reference that are relevant to what you are saying. You’re certainly one in a million, well done!